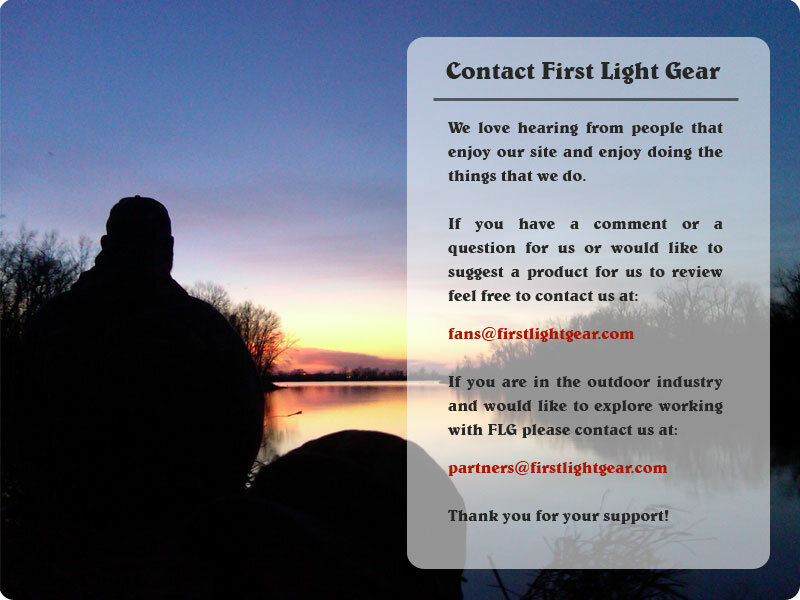 First Light Gear was founded by a couple of Midwest guys that were tired of spending too much on their hunting and fishing gear and thought up a better way for everyone to get good deals. Our goal is to find the best deals possible on outdoor gear every week and then send them to you so that you don’t have to spend time looking for deals and can spend more time outdoors doing what you love. We are out in the woods or on the water pretty much every day enjoying our lives and pursing the fish and game that we love. We hope that you share our passion for the outdoors and we look forward to bringing you the best deals on your gear…period.